You are here: Home / Food / How to meal plan and why it’s good! 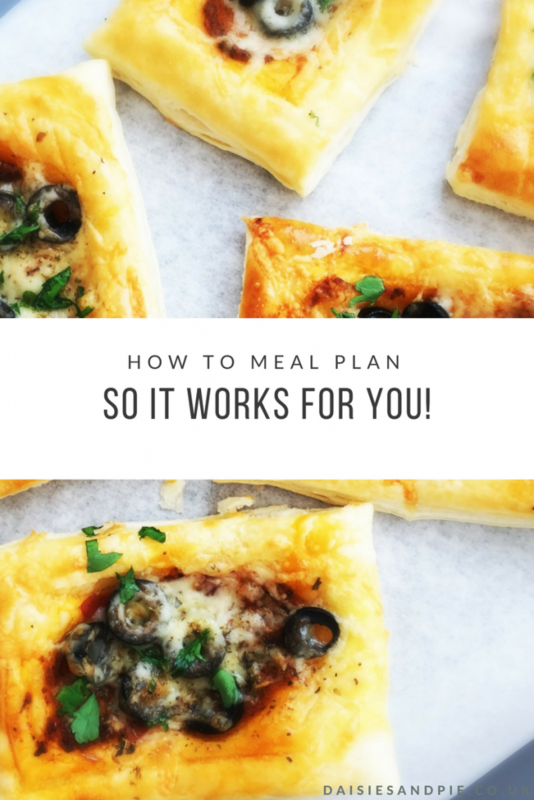 How to meal plan and why it’s good! I find meal planning is a great way to keep organised and SAVE TIME AND MONEY. There’s a few different ways to organise meal planning and places to get INSPIRATION for meal ideas. You just need to work out the best one for you and your family. Some people like to meal plan every single meal and snack, I like to keep it a little more LAID BACK I get a selection of breakfast food, a selection of packed lunch food and properly plan the family dinners. This way works best for me. 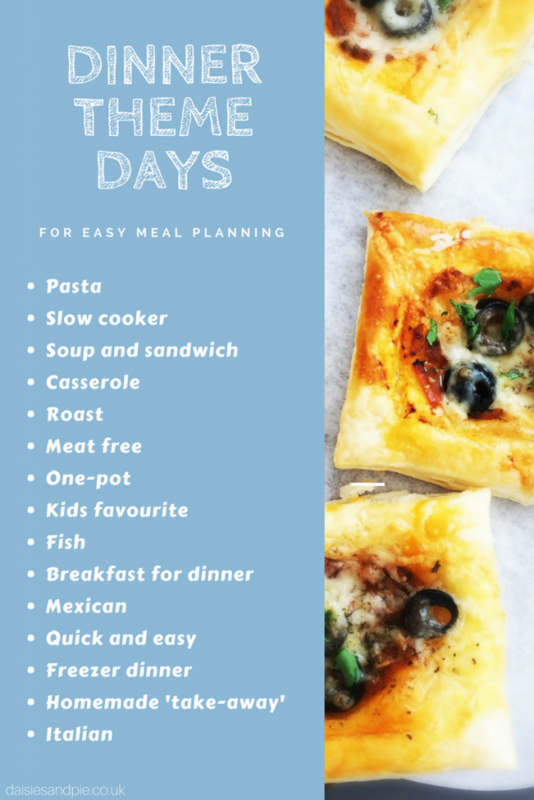 This is one of my favourite ways to meal plan just choose a dinner theme for each day of the week and then pick a dinner that suits the theme. This way seems to make it so much easier and quicker to plan meals. For this meal planning method, you just need to work out 14 dinners your family like. You can keep this type of meal plan all year around and just switch up your recipes to make them more summery or wintery. This way is also good if you like to do freezer meals as you can cook up double and freeze half for use in a couple of weeks time. This is the one I tend to stick with, just making sure I look through the cupboards and see what needs using up and incorporate it into my meal plans. Sometimes you just get stuck in a rut, cooking and eating the same old thing week in, week out. If you fancy MIXING UP YOUR MEALTIMES then here’s our favourite places to get some food inspiration. – Check out hundreds of pre-filled meal plans and recipes here on Daisies & Pie. A few more things to make meal planning easier is to keep a good stock of basics at home – grab our essentials lists here. COME CHAT MEAL PLANNING WITH US! 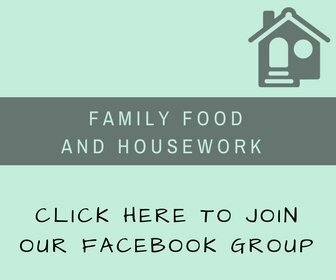 Head over to Facebook and join our ever growing family food & housework group for ideas, support, tips and lot’s more. We’d love you to share your own meal plans over there and help others with inspiration too!